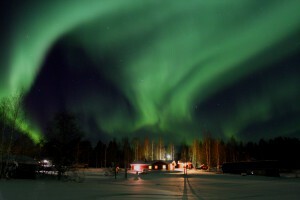 Our home and office in Swedish Lapland under the Northern Lights. 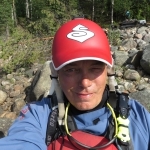 We are an Adventure company that since year 2000 is specialized in experiences and adventures in Lapland, North of Sweden. We offer a wide range of arrangements all year around to fit a demanding international market. With more than 15 years of experience guiding visitors through the northern wilderness, where we make our home, we adhere to the highest standards of guiding and outfitting in the backcountry. CreActive efficiently and professionally, plan and deliver wilderness arrangements for groups from 2 – 300 persons in the north of Sweden. Since 2017 Tatiana Rynbäck is running Women Adventure Travel as a new branch under our adventure company with a nisch! By finding the best female guides up here in the vast north we can offer specialized programs for a growing market. Is to give you the best possible service and guiding during our arrangements. We cooperate with hotels, wilderness camps and other guide companies that can meet our clients demands and wishes the way we prefer it, quality and the best satisfaction for our clients without exceptions in other words. All our guides and staff have long experience and the highest education possible when it comes to guarantee the safety as well as service when you take part in our adventures. In this catalogue you will have a taste of the arrangements that we can offer you, if you don’t find what you are looking for please contact us and we will help you to customize a complete adventure in your taste. Klättra dig frisk och stark!